For the toolbar that shows under the edit window and allows the insertion of various characters and symbols, see Help:CharInsert. In compatible browsers, an edit toolbar can be automatically displayed with the edit box, provided that this has been set in the preferences. It appears automatically for editors who are not logged in. This functions partly as a typing aid and partly as a reminder of the available functions. All the functions are available simply by typing the code directly into the edit box (such as [[link]]) – this may be easier. The toolbar works with Google Chrome, Firefox, Internet Explorer, Microsoft Edge, the Mozilla Suite/SeaMonkey, Konqueror, Safari and Opera. Then you are using the rich-text visual editor. Search for strings of text and optionally replace them, progressing one at a time or replacing all occurrences at once. A list of the regular expressions accepted by this search and replace box has been compiled for reference by the Mozilla Contributors. 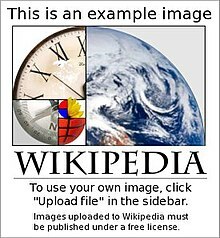 Wikimedia Commons has media related to MediaWiki edit toolbar. This page was last edited on 26 November 2018, at 22:43 (UTC).